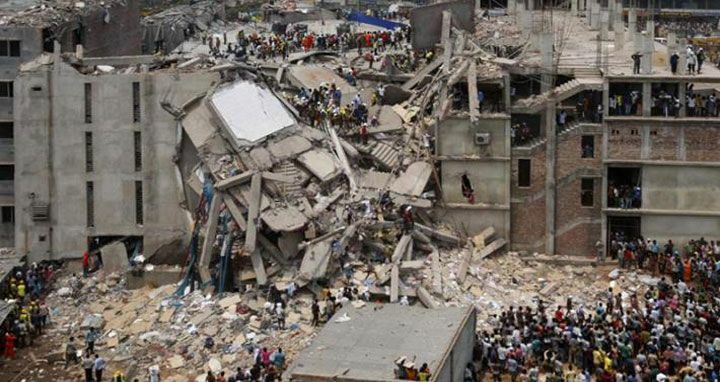 Dhaka, 24 April, Abnews: A total of 6,325 victims of Rana Plaza collapse on the city's outskirt Savar, that claimed over 1100 lives in 2013, have received Taka 261.88 crore aid so far. Of the assistance, Taka 23.48 crore came from Prime Minister's Relief and Welfare Fund while International Labour Organization (ILO) and trust fund Primark donated around Taka 275 crore, according to Ministry of Labour and Employment. Ministry's Deputy Secretary Khondker Mostan Hossain confirmed the matter. Prime Minister's Relief Fund, Labour and Employment Ministry, district administration, ILO, Primark and different foreign organizations provided assistances to the victims, he said. At least 1,136 people, mostly garment workers, were killed and over 2,500 injured in the building collapse on April 24, 2013.